The Honda Odyssey is a minivan that does family duty like chores on a Sunday. For the latest Odyssey, Honda has thoroughly reworked its van inside and out for a fresh appearance and improved performance and safety. The Odyssey takes on minivans such as the Chrysler Pacifica, Kia Sedona, Toyota Sienna, and Dodge Grand Caravan. 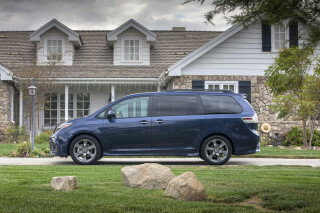 Comfort, convenience, and safety are paramount to minivan buyers, and the Odyssey’s redesign brings with it a second row of seats that can be configured in different ways, an innovative live feed of the cabin visible on the center screen, and some important safety tech standard on almost every model. The Odyssey’s looks have been updated with a front end decked out in chrome that further blurs the line between crossover and minivan. From the side, its chrome belt line kink returns, a feature that helps it stand out from rivals. Inside, its layout is cleaner with upgraded materials, but the big news lies in its second row. Three individual seats are included in the second row. The center seat can be removed entirely and the outboard seats can be pushed together, spread apart, or moved fore and aft. Unlike the Chrysler Pacifica, however, the Honda’s middle row of seats must be removed and stored elsewhere for maximum cargo-hauling capacity. But one thing Chrysler doesn’t have is a camera embedded in its headliner that relays a live feed of the second and third row to the driver’s instrument cluster. The days of turning around to silence fighting passengers may be finally over. It’s available only on higher line models, and it pairs with a microphone and speaker system that lets the driver speaker system that lets the driver yell at the kids through the speakers or through the entertainment system's wireless headphones. Also offered are a built-in vacuum, an entertainment system with an airline-inspired map showing when the van will arrive its destination, and, of course, countless USB ports, cupholders, and climate control vents. All Odysseys utilize a new 3.5-liter V-6 rated at 280 horsepower, a 32-hp increase over last year's model. Lower trim levels will mate that V-6 to a 9-speed automatic, while higher-spec versions gain a 10-speed automatic. 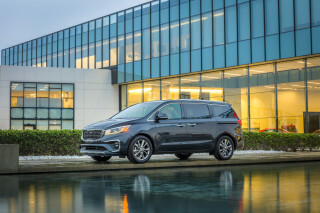 Those transmissions, as well as an active grille shutters and cylinder deactivation, help make the Odyssey the most efficient minivan this side of the plug-in hybrid version of the Pacifica. EX and higher trim levels come standard with the brand’s Honda Sensing suite of technology. The highlights here are automatic high-beam headlights, automatic emergency braking, adaptive cruise control, and active lane control that can gently nudge a drifting Odyssey back between into the road. 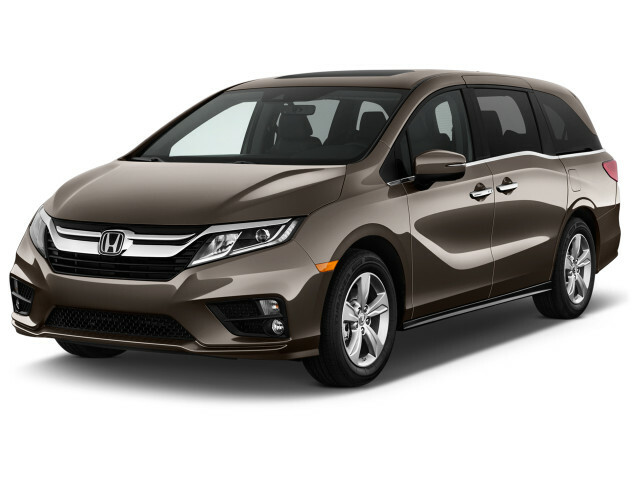 Honda left the Odyssey unchanged in 2019, its second model year in the current generation. Today's Odyssey bears little resemblance to the one that first emerged in Japan in 1994 and launched a year later in the U.S. As Honda's first minivan, it had a cool reception in the States. It was smaller than domestic minivans, and didn't have sliding side doors like those on the American offerings at the time. Still, Honda’s reputation for reliability and strong resale values helped the Odyssey become a household nameplate within its first couple of years on sale. That first Odyssey rode on a version of the Honda Accord family sedan platform and was built in Japan and exported. The smallish first-generation Odyssey offered only a 4-cylinder engine, although the little package was able to carry either six or seven passengers; the middle row could be optioned with either a traditional bench or a pair of captain's chairs. The Odyssey’s other major calling card was its competitive pricing, although an inflow of cheaper models has seen this advantage eroded significantly. Nowadays, the highly featured Odyssey is one of the more expensive minivans for sale in the U.S. with a starting price in the high $20,000s. The Odyssey was fully Americanized in its second generation, and production moved to North America as well. The van grew for 1999, and its 4-cylinder engine was replaced with the corporate 3.5-liter V-6. The second-generation Odyssey offered dual sliding doors, solid handling, and plenty of power. Honda was on to a winning formula, so for the third generation of the minivan, which was launched as a 2005 model, changes were kept to a minimum. That Odyssey featured a 244-hp, 3.5-liter V-6 with optional cylinder-deactivation technology. 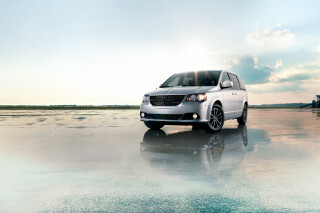 The most efficient model returned EPA-rated fuel economy of 17 mpg city, 25 highway. Honda added a little more design panache to the fourth generation of the Odyssey—which was introduced as a 2011 model—along with improved seating, new connectivity and entertainment features. The most noteworthy detail of the new design was a "lightning-bolt" beltline—a small drop of the window line just behind the sliding door—that added a little more window space in back. The design flourish—which continues to this generation—can be polarizing, but it at least serves a functional purpose, as any good minivan feature should. The engine was carried over from the previous generation, but a new 6-speed automatic was phased in—initially, it was only offered on the upper trim levels. The new transmission boosted gas mileage to 19/28 mpg. Variable cylinder management and active noise cancellation made these vans among the most efficient and refined picks in the real world, too. The Odyssey earned nods from the IIHS as a Top Safety Pick status and a top five-star overall rating from the federal government. The lack of some features on all but the highest-priced models was a problem with past Odyssey models. That was somewhat alleviated with the refresh given to the Odyssey for the 2013 model year, which made a rearview camera and Bluetooth connectivity standard equipment. 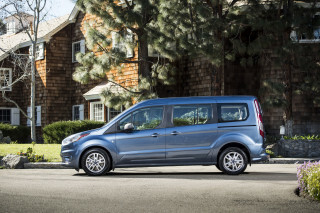 The 2014 model year brought a minivan innovation to the Odyssey's top Touring Elite trim level. The HondaVac, developed with ShopVac, is a built-in vacuum that is powered by the car's battery and can reach from its spot in the cargo area all the way to the front row. The HondaVac spread to the middle-of-the-road SE trim in addition to the Touring Elite trim. 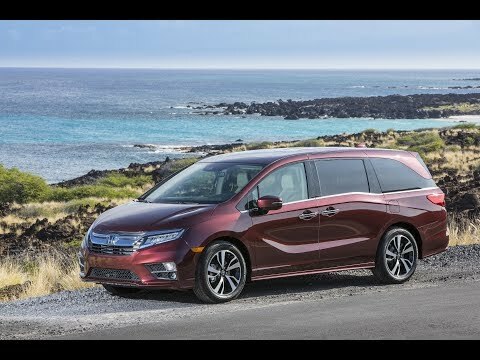 Honda also made the 6-speed automatic standard across all Odyssey models in 2014, putting all models at the same (higher) fuel-economy ratings. 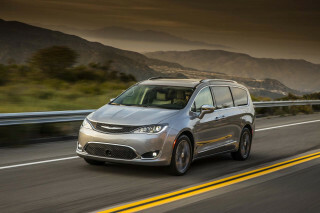 Few noticeable changes were made to the Odyssey for 2015 or 2016. In its top trim, the Odyssey could be had with a stunning wide-screen entertainment system, HID headlights, blind-spot monitors, and a great 650-watt sound system—as well as, lest you forget, that integrated vacuum system. For 2017, Honda added an acoustic windshield to more models and made available its in-car vacuum and rear-seat entertainment system on lower trims. Great minivan. Best quality out there. Own a 2006 CRV also. After two Toyota Sienna's I was hesitant on buying my first Honda van. Let me say that without hesitation, this new Odyssey is hands down more stylish, more intuitive, and far better mileage than my previous... After two Toyota Sienna's I was hesitant on buying my first Honda van. Let me say that without hesitation, this new Odyssey is hands down more stylish, more intuitive, and far better mileage than my previous Toyotas. The on-screen nav system is so far superior than my previous van and a ton better than my wife's 2019 Avalon hybrid. Got 31 MPG on my first road trip of 400 miles. The lane assistant system is amazing and truly functional in every way. The 10-speed automatic trans with paddle shifters is definitely a step up from any car I've had prior. Little things, like the fan speed dropping off when a call comes in to better hear the conversation; the side view mirrors tilting down when in reverse to see lower; the clarity of the phone sound, the ease and diversity of the on-screen system unbelievably useful and clear to function.